I love trying fruits that I've barely even heard of before. My newest fruit is the purple mangosteen, a tropical fruit that can only be grown in consistently warm climates. 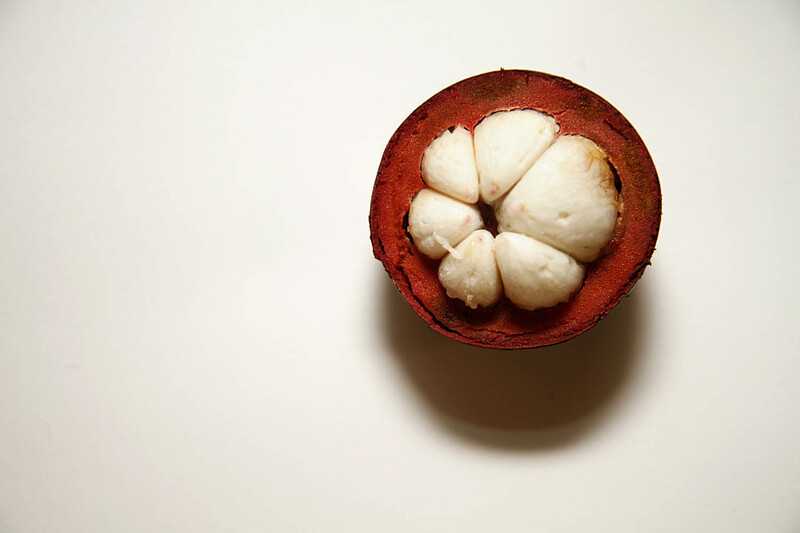 Because of the climate required, mangosteens are rarely seen in North America. My mangosteen was grown in Thailand. I found this curious fruit in my local supermarket and immediately put it in my cart without thinking too much about what it was. It was just so goofy looking. I had to have it. Plus it only cost ¥95 or so, about a dollar. Worst case scenario, it turns into a good story like that stinky durian I ate. Never again. Let's look inside. 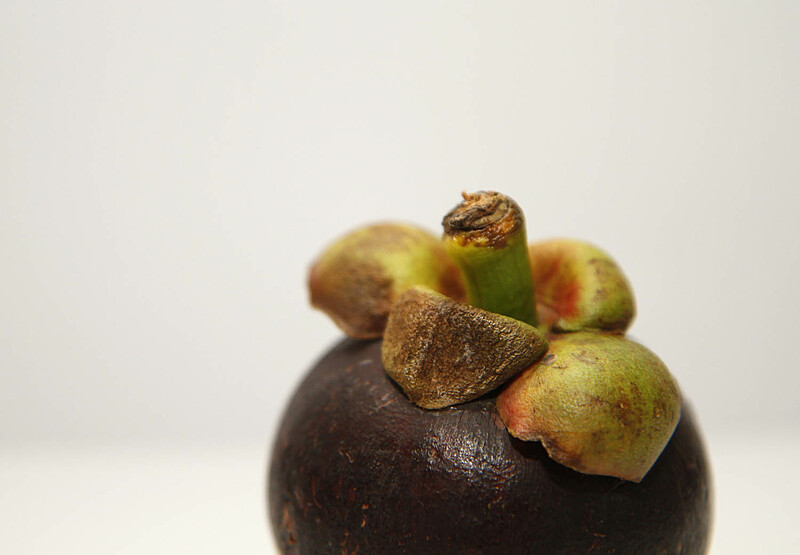 When you slice open the thick, deep purple skin of the mangosteen, you reveal the creamy white edible center. The pieces inside are about the size of small orange or clementine slices. It's a pretty fruit, but it tastes wonderful, too. 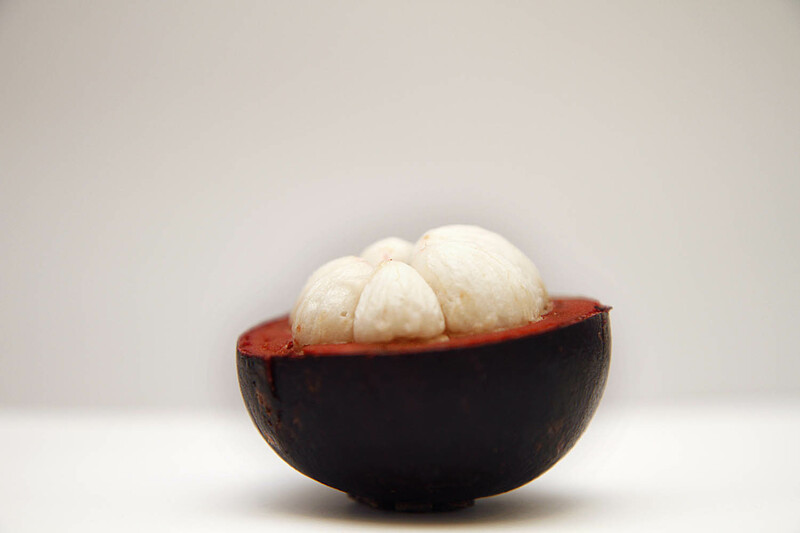 The slices of mangosteen flesh are slightly fibrous, but very pleasant and easy to chew. It has a mildly sweet flavor and just a hint of acid that isn't at all overwhelming. Delicious. In an exotic fruit competition, the mangosteen blows the durian out of the water. Plus it has a cooler name. Say it out loud with me. "Mangosteen!"